A package of modern tools designed specifically for the pet grooming industry. Keep track of pets and clietns with digital record keeping. Forms, files, vaccination histories all in a single pet profiles. 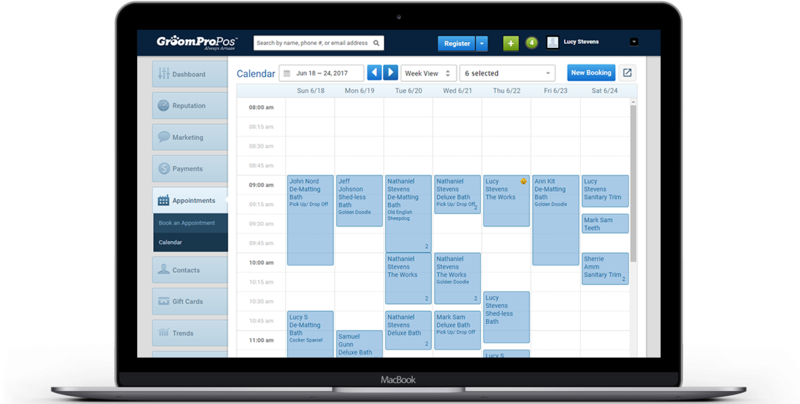 Put your daily operations on auto pilot with GroomPro POS Pet Grooming Software. Life is too short to waste time doing anything but the things you love. Have you asked yourself the following? How to create real and lasting connections with your clients? How can I maximize your daily output without adding administrative work to your day? How do I generate reviews from customers automatically? How can I increase my daily revenue without increasing my workload? Try our powerful software 30 days risk free. Many Pet Groomers are using our Software, Now is your turn! 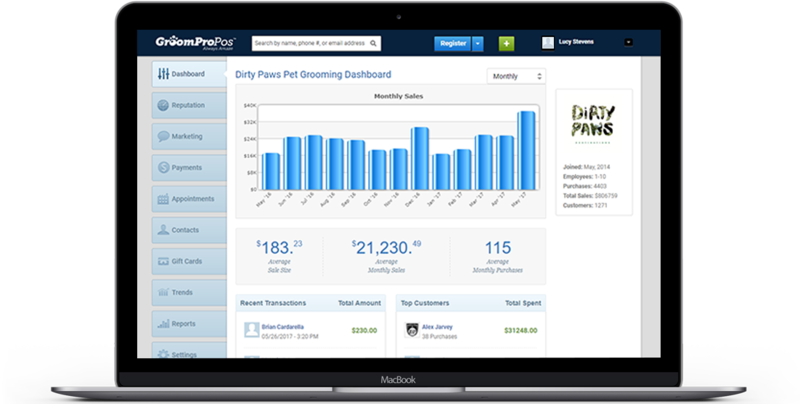 "GroomPro POS changed the way I run my pet salon. 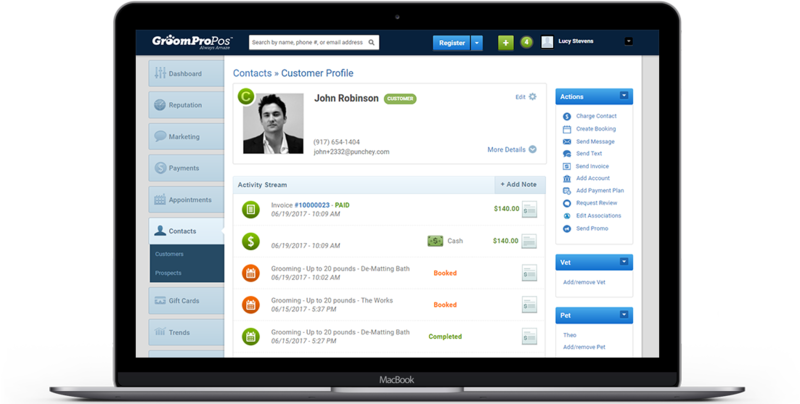 Their marketing and appointment management tools allow me to track my customers and run my business more efficiently." "I wonder how I ran my business any other way. Since I started using Groom Pro POS I can focus on what I care about the most, my four legged clients and my creativity." Do yourself a favor and get started today!